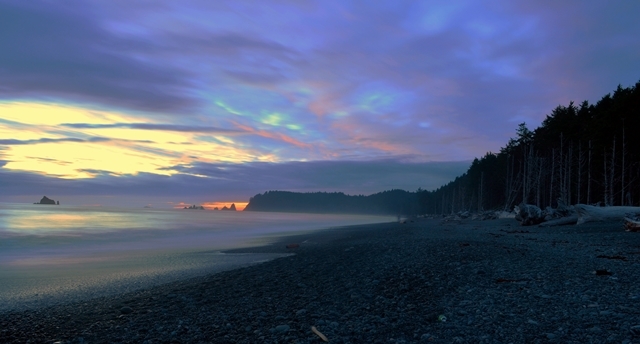 The North Wilderness Coast hike stretches along 40 miles of the gorgeous La Push coastline. The coastline is true wilderness, extremely remote and peaceful. The diversity of the trekking terrain is fascinating. Walkopedia friend Michael Cohen has provided a great recommendation and article. Walkopedia says thank you! 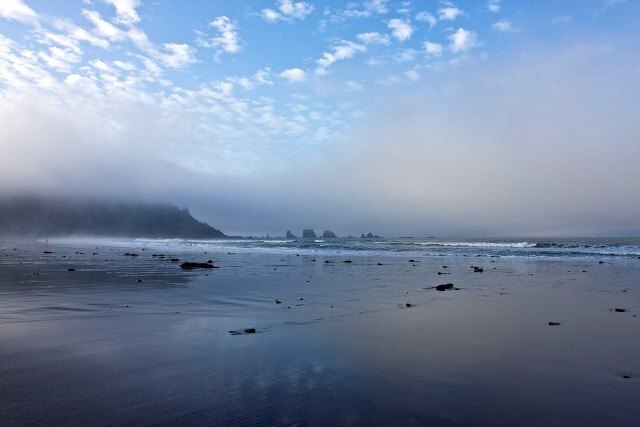 "This hike spans approximately 40 miles of coastline from La Push, WA, on the southern end to Neah Bay, WA, at the northern end. The entirety of the hike is on beautiful wilderness coastline save for several overland trails that bypass impassible headlands. Although some of the major campsites are fairly popular and well-trafficked, the majority of this coast is extremely remote and hardly traversed. Except for the overland passes, the hike is done entirely on the coast line (i.e. there are no trails). The entire stretch of the hike is essentially stretches of land 1-2 miles long bracketed by points on either side. What makes this hike both extremely fun and extremely challenging is the diversity of the terrain from stretch to stretch. One stretch of hard sand beach can be followed by a stretch of loose gravel, then by a stretch of small rocks, then by a stretch of large boulders. Aside from well-packed sand beaches, each terrain type presents unique challenges to the hiker. 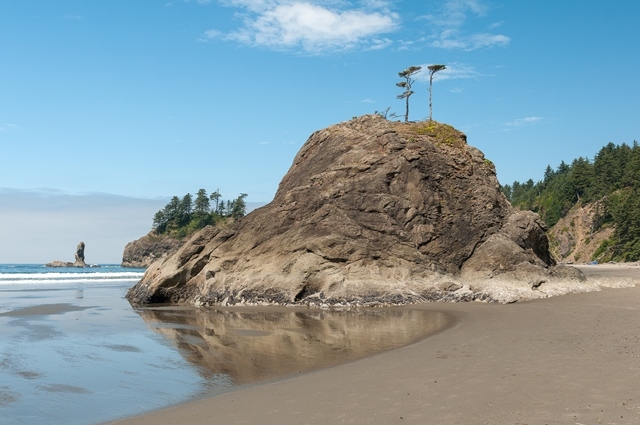 Like the rest of Olympic National Park, the scenery is extremely diverse providing intimate access to the coastal ecosystem as well as the adjacent forest with a backdrop of snow-covered mountains. 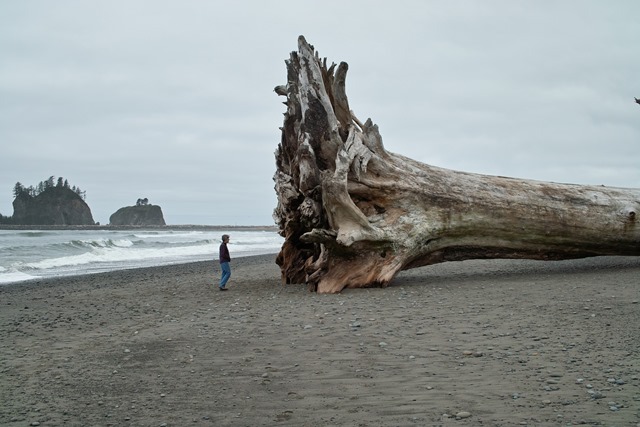 The area has a long history of human activity, as it has long been the home of the Makah and Quileute tribes. Additionally, the coast has several memorials to dedicated to sailors who perished in shipwrecks off the coast as well as a WWII-era vantage point where US soldiers diligently watched the seas for signs of Japanese military activity. The scenery along the coast is constantly changing as the tides reveal and then re-cover large swaths of seaweed covered rocks, leaving behind tide pools with many creatures including starfish, anemones, crabs and mussels. Predatory birds are frequently seen overhead and foraging deer graze undisturbed along the coast. Seastacks rise up from the ocean, some being several hundred yards offshore, which add a surreal element to the scenery. Millenia of wave action and erosion have shaped them in peculiar ways, most notably in arches that can be walked through. I would recommend this hike during the months of June-August as this is when the Pacific NW experiences a dry season. Expect temperatures to be in the 60's during the day and the 40's-50's at night. Depending on your pace, this hike can be done in 4-7 days. Carry a tide chart and watch and be mindful of high tide as headlands will become impassible and areas of the coastline can be washed out." Walko says: thank you, Charles!